What if I told you that as a vegan, you don't need to give up Nutella! 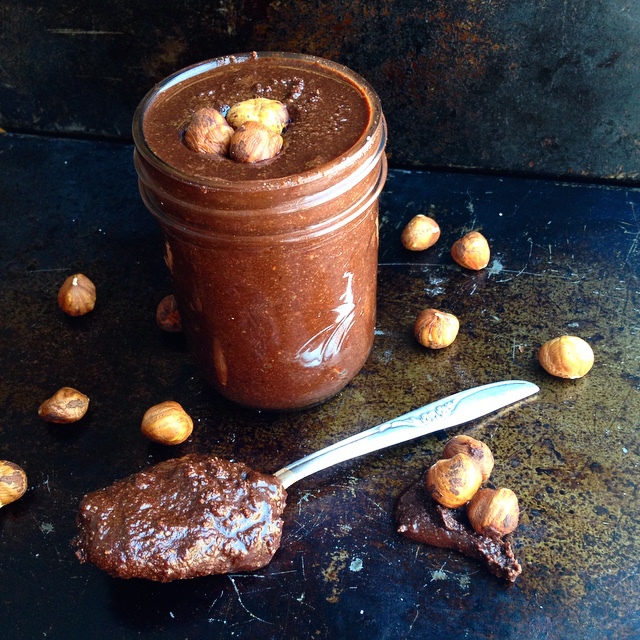 This salted hazelnut spread is a perfect balance of sweet and salty... and it's much healthier than the store bought stuff! Note: Hazelnuts can be pricey! If you want to save money, but don't want to lose that delicious hazelnut flavour, try using half hazelnuts and half almonds OR peanuts! This recipe was inspired by Minimalist Baker, however I've tweeked a few things to suit my own preferences. Both are amazing! Step 1: Preheat your oven to 350°F . 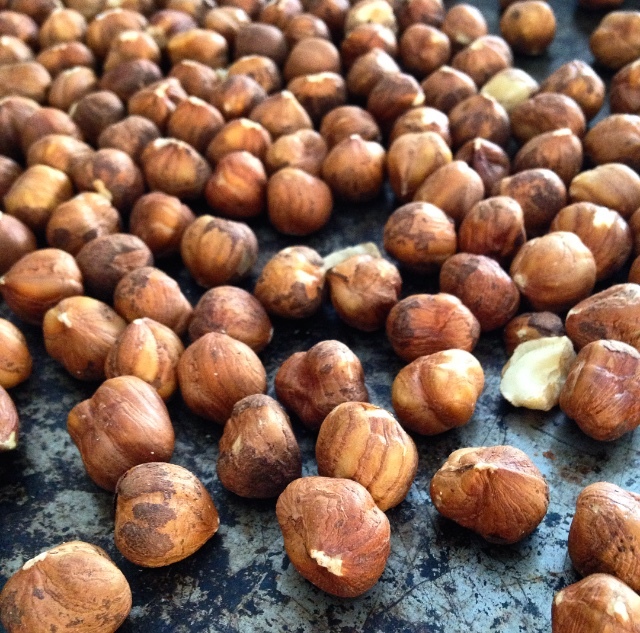 Spread hazelnuts out onto a baking sheet in a single layer. A nonstick pan/parchment paper isn't necessary. Step 2: Roast the hazelnuts for 10-15 minutes, or until the shells become a darker brown and begin to peel away. 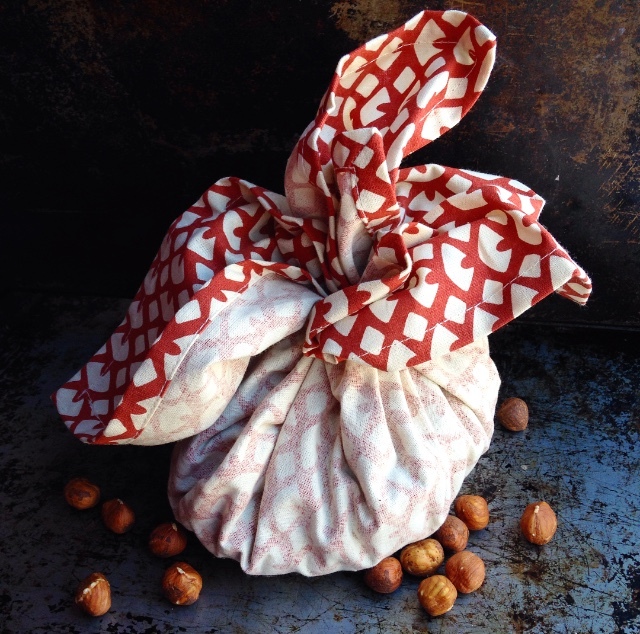 Step 3: Wrap hazelnuts in a tea towel and let the hazelnuts steam for 1 minutes. I used an elastic to tie the cloth in place. Step 4: Use the tea towel to rub the skins off the hazelnuts. Rolling handfuls like you would a ball of cookie dough also helps to skin the hazelnuts. Step 5: Empty hazelnuts into your food processor and blend until smooth. It took me about 7 minutes to reach the right consistency; 4 minutes on low and 3 minutes on high. Step 6: Melt the chocolate. I used 90% dark chocolate because it has a lower added sugar content and it's vegan. If you'd like to use a sweeter chocolate, you may not want to add the maple syrup. To melt the chocolate, I use the microwave, but you can also heat and stir on the stove. To use the microwave, I heat the chocolate for 30 seconds, then stir and let sit for 30 seconds. Do this about 3 times or until the chocolate is smooth and fully melted. 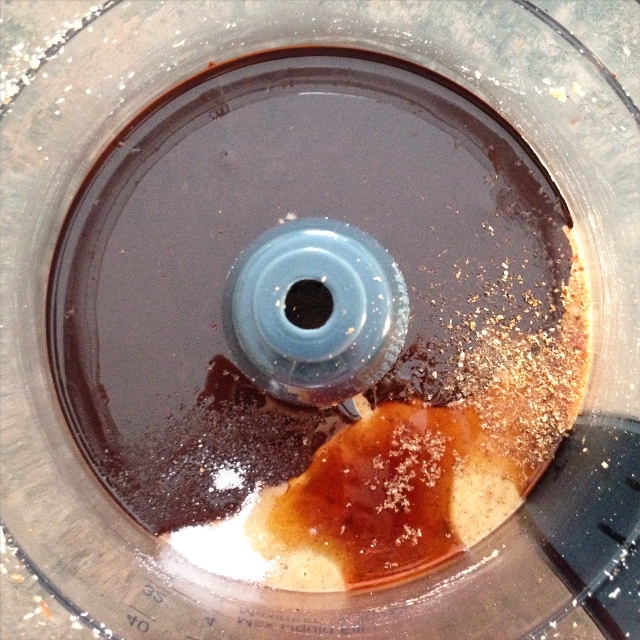 Step 7: Add the chocolate, maple syrup, vanilla, salt, and ground nutmeg to the food processor and blend until fully mixed. Step 8: Try not to eat the entire bowl! This spread is great for drizzling over pancakes, adding to smoothies, spreading on baked goods, using as a topping on smoothie bowls for extra flavour, or eating straight out of the jar!